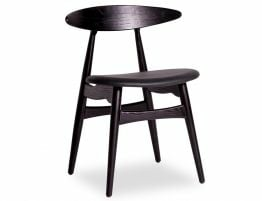 Our Joffery solid oak dining chair with a black frame and a black padded seat offers Scandinavian lines with a retro vibe. 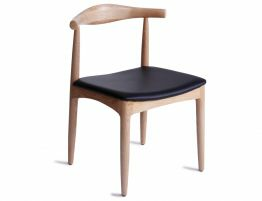 This classic mid century oak dining chairs takes us back a few years but its classic shape and reputable style makes this Joffery Oaks dining chair still well sought after. 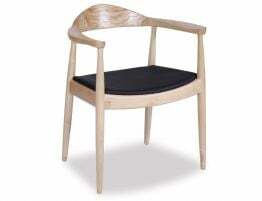 The curved back rest provides comfort and style while the seat is easily maintained with the upholstered detailing. 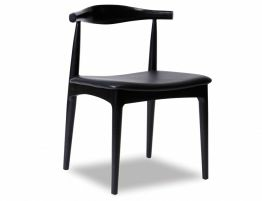 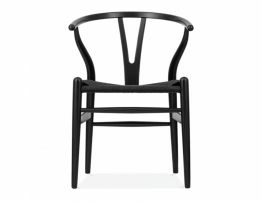 The solid wooden oak chair is smooth in detail and painted all black making it ultra modern and flexible in design.